All done onsite at our Kettering data recovery location. What separates our data recovery service from the rest? Reasonable, $99 diagnostics, affordability, flat fees, high success rates, and the best data recovery engineers. Don’t panic if your computer has crashed. Our experience and professional data recovery service will provide you with the best chance of recovery. Your files will be recovered to an external hard drive or different media. We can also fix your computer and restore the files back to it afterwards. Your recovery job will be priced based on its severity, providing you with the best, cost-effective data recovery service in Ohio. We charge $99 labor to perform a full diagnostic on your damaged hard drive no matter what size capacity of the drive. On some hard drives, a replacement circuit board is required in order to complete the diagnostic. If your drive needs a new board, the cost of the hardware is $85. If data recovery is possible on your hard drive, the cost of data recovery depends on the capacity of the hard drive. The last we checked, we are at 92% as our success rate. That’s pretty freakin’ good! We have many customers coming to us to recover their computer files after other companies have failed. If we cannot recover it, you can be sure we have tried everything in our power to recover it. We price every recovery job by the level of complexity. Since we have been performing data recoveries since 2009, we have a few tricks up our sleeves to keep prices as low as possible for you. Many data recovery service companies will charge $1,000 and up as a minimum. Not us. Many jobs are as low as $99 and up. 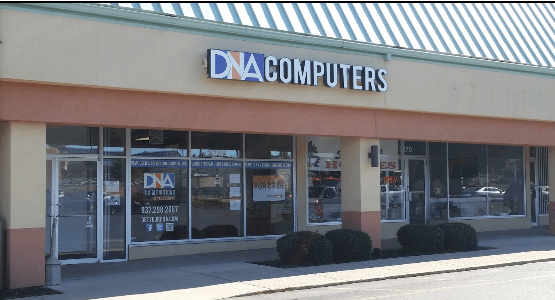 Bring your computer, hard drive, external hard drive, or other media to DNA Computers, Dayton’s data recovery service center. Or you may schedule a device pick-up for a nominal fee . We are open long hours to accommodate your data recovery needs and understandable freak-out. Our $99 hard drive diagnostic will allow our technician the time to thoroughly diagnose your hard drive and determine if data recovery is possible based on the findings. In some cases, we need to replace the hard drive board, which costs $85. Data recovery charges are based on hard drive capacity.